Interested in using Slope to manage your research site's clinical inventory but still have a few questions? You've come to the right place! Where can I learn more about clinical inventory management? Check out our Clinical Inventory Academy, a short online course that teaches best practices for organizing and managing your research site's clinical inventory. The content has been created primarily for Trial Managers, Study Coordinators, and Research Assistants who manage clinical trials at research sites. Slope is the quickest and easiest way to maintain cGCP while managing your research site's clinical inventory, including study drugs, investigational devices, lab kits, bulk supplies, shippers, study materials, and equipment. Do I need anything special to use Slope? Slope's web-based platform works wherever you are - all you need is an internet connection. There's nothing to download or install. Use Slope from your desktop, laptop, tablet, or mobile phone. Is Slope free for research sites? Slope is, and will always be, a free tool that research sites can use at no cost. From small single-location clinics to large multi-site academic institutions and SMOs, our team is committed to helping you build an efficient, high-enrolling research organization through better clinical inventory management.  What do research sites like most about Slope? Multi-site support (great if you manage multiple locations). Detailed dashboards, audit trails, and Excel reports. Weekly clinical inventory status emails. Serial and lot number tracking. Do you places any limits on my site's Slope account? The amount of clinical inventory you can manage. The number of clinical trials or supply groups that you can manage. The number of research site locations you can manage. The number of users you can add to your research site's Slope account. The number of storage areas you can add. Will Slope work for my research site / study team / clinical trial? Yes! Our software development team worked with input from hundreds of research sites around the world to build a flexible platform that allows you to manage all of your clinical inventory for all of your clinical trials. We're helping sites manage thousands of studies across every therapeutic area. Slope's web-based platform is 21 CFR Part 11 compliant. SSL is used for all connections and our data is maintained in a secure, encrypted cloud environment. While you can track de-identified patient information with Slope, storing Protected Health Information (PHI) is prohibited. I've got an idea! Can you add it to Slope? We built Slope with site feedback, and we continue to make it better thanks to the wonderful ideas suggested by our users. Click here to check out our software development road map, suggest an idea of your own, and vote on ideas that other users have submitted! Can Slope integrate with my research site's clinical data software? Not yet, but we're working on it! If you're interested in this please drop us a line by clicking on the blue chat icon in the bottom right hand corner of your screen. Where can I find information about Slope's Terms of Service?